Blogging has become a very popular medium for the dissemination of information to the masses. The popularity of blogging today has a lot to do with its low barrier of entry. Anyone can start a blog in a matter of minutes and run it basically for free. According to Wikipedia, in 2011 there were over 156 million blogs in existence. Out of the vast universe of thousands of genealogy blog choices, how is one to figure out which ones are worth our time? The purpose of this article is to suggest a practical solution to finding the best genealogy blogs by using a blog ranking service to locate the most popular ones. The best genealogy blogs are subjective by their very nature. What appeals to one genealogist may seem deadly boring to another. For instance, a blog about New England genealogy might be of no interest to a genealogist whose family predominantly lived in California. Also, every genealogist is at a different point on the spectrum of genealogy experience; some may be seeking more advanced blogs while others may seek more remedial beginner blogs. One of the best ways to find out what is really happening on the web is to pay attention to where the majority of traffic is going. This is one case where following the crowd works to your benefit. You can use a ranking service like BlogRank’s list of top 50 genealogy blogs to point out the big players in the genealogy field. The theory behind this approach is when a blog is good, word of mouth spreads like wildfire and lots web traffic follows. BlogRank uses more than 20 different factors of varying weights to rank a blog including monthly visitors, Alexa and Technorati rankings, RSS membership, incoming links, indexed pages, pages per visit and even social site popularity. Needless to say, these guys do a pretty comprehensive job of ranking blogs by the numbers. Keep in mind that a blog has to register with BlogRank in order to show up on their ranking. 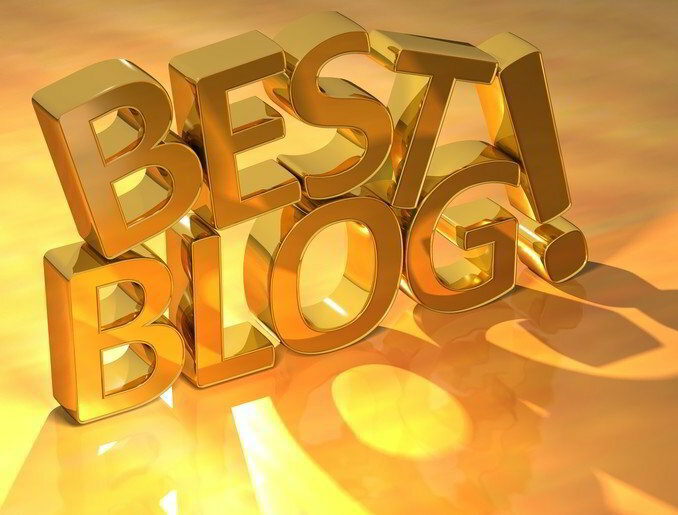 If your favorite blog does not show up on the list, they may not have registered it. 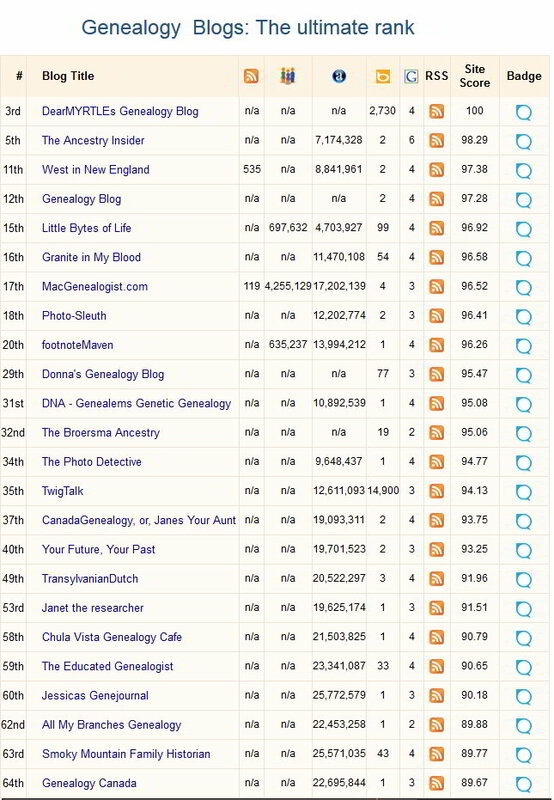 This ranking is a good place to start, but it is by no means the only way to locate the best genealogy blogs. The Internet is full of blog reviews and mentions of blogs. Also genealogy related social media sites can help guide the way to some great finds. I find that old fashioned word of mouth referrals from friends and acquaintances are often the best, so don’t hesitate to ask others which blogs they follow.